DAVID POULTER is an organist, pianist and choral director based in Cambridgeshire and Suffolk and available for freelance work. He was born in Kent and educated at The Kings School, Rochester and at The Royal College of Music, London where he was a Foundation Scholar and Walford Davies prizewinner. He was also awarded the coveted Limpus and Frederick Shinn prizes at the Royal College of Organists. He is a Fellow of the Royal College of Organists (and a holder of the RCO Choir Training diploma), a Fellow of Trinity College of Music, an Honorary Fellow of the Guild of Church Musicians, a Graduate of the Royal Schools of Music and an Associate of the Royal College of Music. 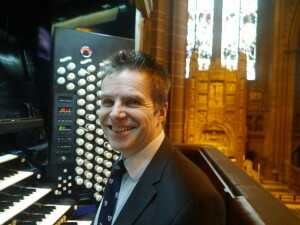 After five years as Assistant Organist at Rochester Cathedral, further study at London University, and some years teaching at Cranbrook School in Kent, a nd Tunbridge Wells Girls’ Grammar School as Head of Music, David Poulter went to Coventry Cathedral in 1990, first as Assistant Organist and ultimately as Director of Music. During his time in Coventry, he founded the Cathedral Girls’Choir consisting of 50 singers aged 8 – 16 years. 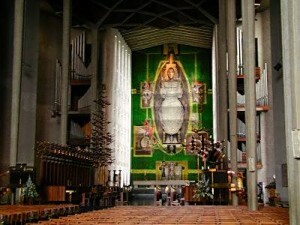 He also initiated a course in Church Music at Coventry University. 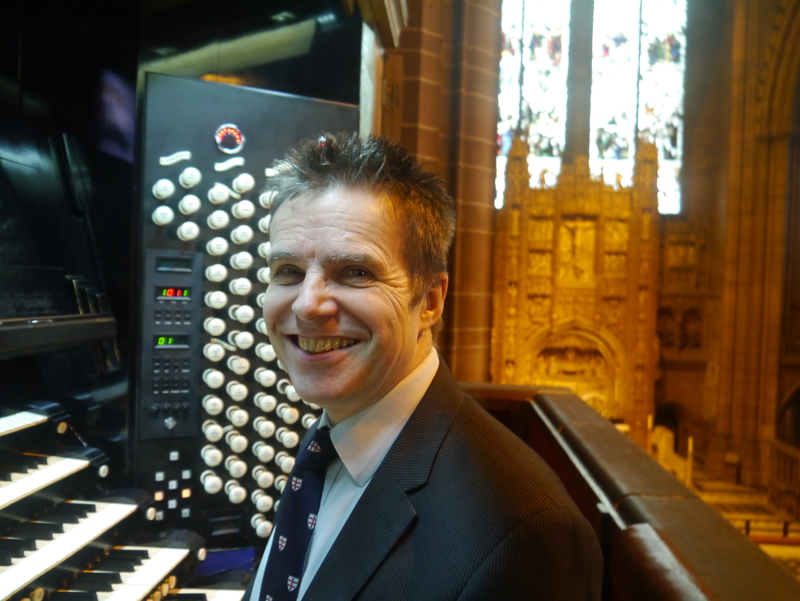 David Poulter was appointed Organist and Director of Music at Chester Cathedral in April 1997, following a succe ssion of distinguished organists dating from Robert Whyte in the 16th century to John Sanders and Roger Fisher in the 20th century. 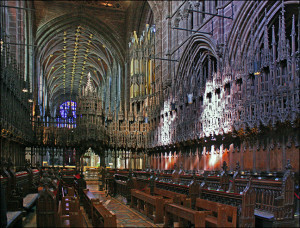 Under his direction, the Cathedral Choir undertook seven CD recordings, many broadcasts on BBC Radio and TV and Granada TV, and premiered many new works written especially for Chester Cathedral, including one by John Tavener. The choir also enjoyed tours to France, Holland, Ireland and the USA. David was actively involved in the planning and raising of £1.6 million for the building of a new Song School in 2005. Other highlights included two International Church Music Festivals with Sir David Willcocks. During this period, David Poulter was also a regular conductor of the BBC Daily Service. 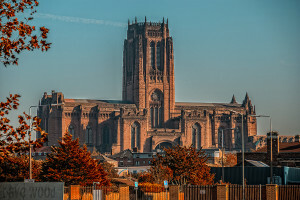 From January 2008 to August 2017 David Poulter was Director of Music at L iverpool Cathedral where he enjoyed a close musical partnership with his friend and colleague, Professor Ian Tracey, Organist Titulaire. As well as conducting the cathedral choir at seven services each week during term time, David took the choir on tours to Poland, Paris, Estonia, New York and Washington; recorded five CDs of choral music with Priory Records (Evensong from Liverpool Cathedral; Music for Men’s Voices featuring music by Durufle and Tallis; The Psalms of David, Volume 3; Great Cathedral Anthems from Liverpool Cathedral; and Great Hymns from Liverpool); conducted the choir for many BBC TV and Radio broadcasts; and directed first performances of specially commissioned works by Cecilia McDowall, Richard Shephard, James Macmillan, and Liverpool-born composer, John McCabe.